If you are a guy, do yourself a favor, read and save this article. In fact, you may want to send to some of your buddies. If you are a wife or girlfriend, forward this to your man. Guys, we have this dilemma when it comes to helping the women we love when they share their problems with us. Women don’t listen! They come to us all upset about something that happened during the day and they unload. We hear the story, tell them where they went wrong, offer a solution, “bada boom, bada bing”, problem solved! Confusing huh? Why would they be coming to us in the first place if they didn’t want help? After all, isn’t it our job to solve problems? It’s what most of us do all day at work. Isn’t true that males carry the “problem solver” gene? If women don’t want our help then why do they come to us all upset? Women bring their problems not so we can fix them. They just need us to listen and support. Is this too difficult? I think we muddle the problem by stepping in with analysis and solutions women are not seeking. Truth be told, women are just as intelligent as men. It’s not our “smarts” they want. It’s our “hearts”. 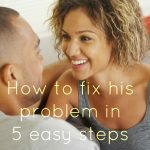 Let me clear up the confusion for you and show you how to fix her problem in 5 easy steps. NOTE: The key words are in CAPS. Hey guys, when it comes to fixing her problem, women want our hearts not our smarts. Step #1: You may not have a problem to FIX. Turn off the problem solving switch, kick back and relax. You are not on call to fix anything. Step #2: You do have a problem to LISTEN to. Open your ears and listen to what she is trying to say to you. As you listen, track two things that will let her know you support her. Track her thoughts. Track her feelings. You will need this information in steps three and four. Step #3: REPEAT the problem back to her. Paraphrase what you hear her say. It’s as simple as saying, “Sounds like you’ve had a rough day today between the kids and extra work piled on you by your boss.” Here is where you may be tempted to go into problem-solving mode. Be careful, use restraint, and remember step one! Step #4: VALIDATE her feelings. This is the hardest step because it will require you to move from the left side of your brain to the right. The left side is the thinking stream. This is the side of the brain where guys spend most of their waking moments. The right side is the feeling stream. This is where women most often process things during the day. For the most part females can balance left and right brain processes better than men. Guys are not as comfortable dealing with feelings. After all, we are raised to express the more dominant emotions of anger and frustration. However, we were discouraged as young boys from showing weaker feelings of worry, fear, sadness, or loneliness. So when girls express these emotions we become uncomfortable and quickly use left brain strategies to solve the problem. This approach invalidates women’s feelings and causes them to react or shut down. Step #5: Ask a CURIOSITY question. She might respond with a request for advice. Because you have listened and validated her thoughts and feelings, she may be more open to hear what you have to say. If so, deliver it in a thoughtful and respectful tone, not a negative, criticizing manner. Sometimes, simply listening to the problem is all women want from their men. Perhaps a hug or some help around the house will suffice. Remember, women work as hard, if not harder than many men today. If the kids are being disrespectful, you can help by getting more involved in the parenting and teaching your kids how respect adults. Guys, I think we need to re-examine our approach to fixing problems with the women in our lives. We have a lot of tools in our toolbox. 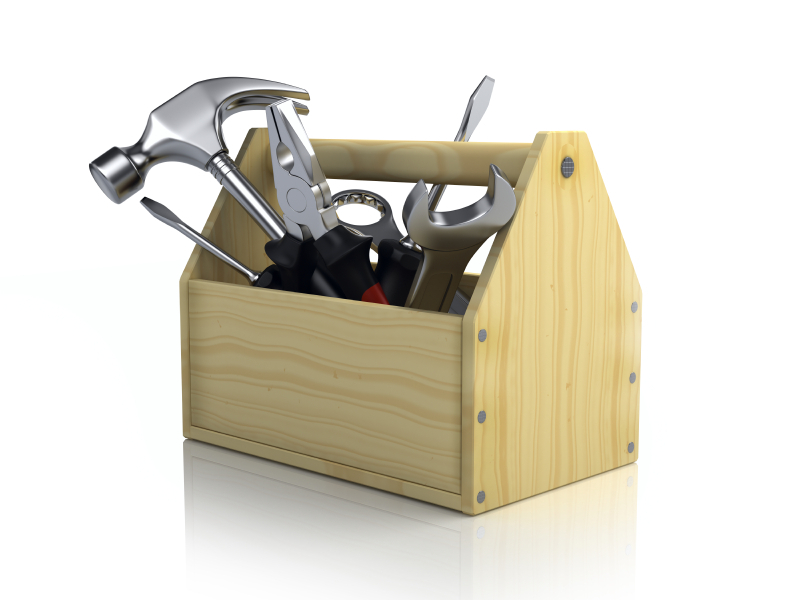 The solution to every problem doesn’t require a hammer, nor duct tape for that matter! Put the tools down and listen.